Republican Rep. Bob Rankin of Carbondale and Democratic Son. 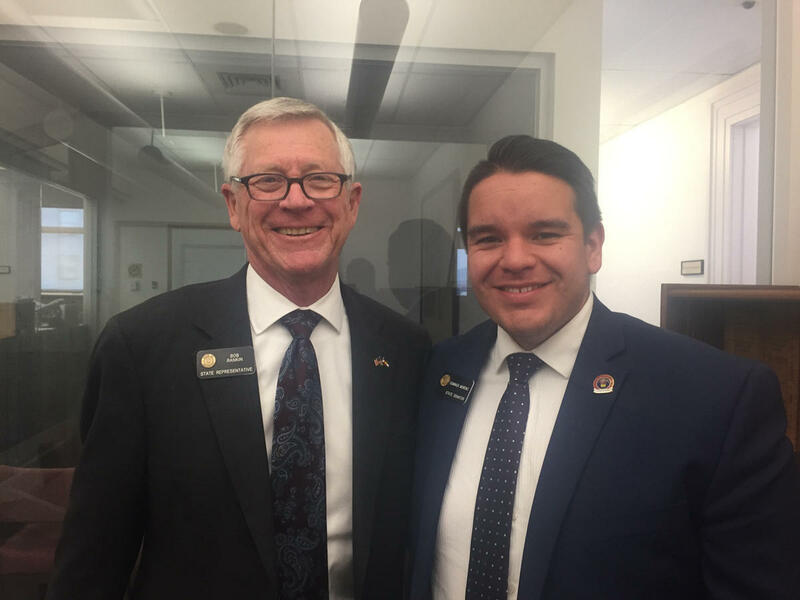 Dominick Moreno of Commerce City both serve on the budget committee. Colorado's $28.6 billion budget is nearing the end of its legislative journey. Each year, the six-member, bipartisan Joint Budget Committee crafts a balanced budget before sending it to the House and Senate for amendments. The JBC then has to reconcile those changes. But in most cases, they go back to the original budget they spend months writing. This year, the House and Senate have added about 30 amendments to the so-called "long bill." Moreno: I don't think it's going to be that difficult to balance because at the end of the day the conference committee is the Joint Budget Committee. It's the members who originally constructed this budget and have the most knowledge and understanding of the inter workings of the state budget. Rankin: What we'll be looking for is to both represent our constituents but also represent our caucuses as we go through each of one these things. There will be some sticking points. My caucus ran a lot of amendments to try to divert money to transportation. I'll be trying to represent that. I think for me that will be the biggest so-called sticking points. Rankin: I really do enjoy it because some of these ideas people come up with are off the wall, and some of them are actually pretty good ideas that we did not think about. Moreno: I think it's important, ultimately, to consider what our colleagues have to say about our budget priorities. Lawmakers in the Senate passed the budget with only five no votes. Supporters praised the budget committee for crafting the bill under challenging conditions. 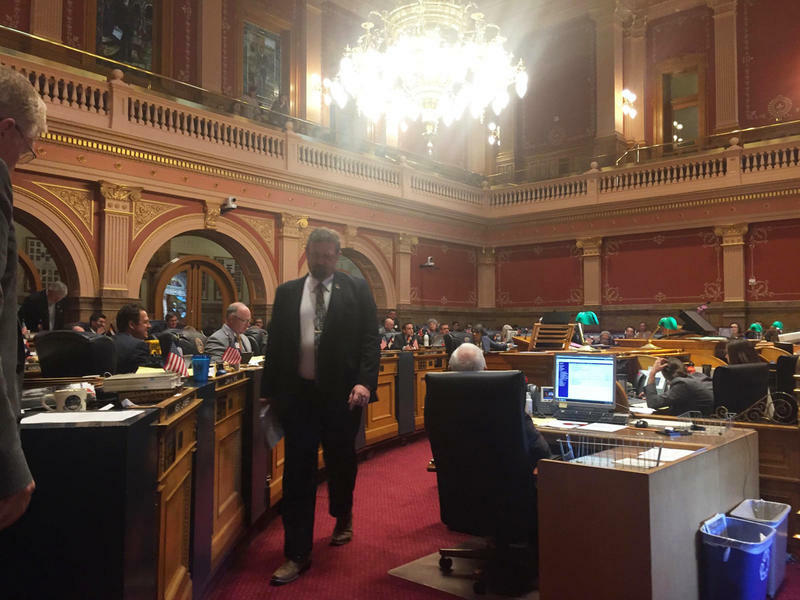 Colorado's budget handily passed the state Senate on March 29. It has bipartisan support and increased four percent compared to the previous year. In many ways, the debate was a microcosm of the entire legislative session thus far. It showed lawmakers working together, complex policy issues, partisan fights and political statements. It is balanced, as required by the state constitution, but reflects how Colorado lacks enough money to fully fund schools, health care and roads. The $28.6 billion state budget is making its way through the legislature. It covers everything from roads and health care to schools and prisons. Despite many lawmakers wanting significant changes, it overwhelmingly cleared the Senate. Colorado's latest revenue forecast shows that state lawmakers will have to fill a larger budget gap than anticipated -- a $696 million gap. Bente Birkeland spoke with other statehouse reporters about what this could mean for the state budget.